Buying a newly constructed home is a little different than buying one that has been lived in for years. What are the differences between a new construction home and a preowned home - and what do home buyers need to know? It's important to note that there are generally two types of new construction homes; a custom built home and a planned builder home. A custom built home is where a home buyer chooses the floor plan and sometimes even the lot. They have a lot of freedom as to how the home is constructed, the building materials and the finishes of the home. A planned builder home is one where a builder has a number of different designs and interiors for the home buyer to choose. Though not completely custom, a builder home often allows the buyer some customization, though usually for an extra cost. There are also prebuilt newly constructed homes, where the buyer has no customization as the home is already complete. How Is New Home Construction Financed? Appropriate funding is usually necessary so the home will be completed according to plan. Home buyers who are planning new construction on land that they already own may need to consider getting a construction loan to pay for it. For communities already under construction, builders will often require buyers to put down a deposit for a specific lot. Regardless of the lot the home is placed on, this comes with the expectation that the buyer will either pay cash for the home or obtain a mortgage for the new construction home. Often, larger builders may have an in-house lender or a preferred lender. Home buyers are not required to go with the builder's preferred lender, but there may be incentives for doing so. What Is the Expected Construction Schedule? Building a new home usually takes several months. Buyers who put down a deposit when construction is already partially complete may not have to wait as long. Home buyers should ask for a building schedule of tasks to be completed daily or weekly on their home. It is wise to expect some delays, so people should avoid placing too many guarantees on the end date until construction is nearly done. Builders often request that buyers do not enter the building site due to construction dangers. Usually, the builder or a representative will meet the buyer to review the progress of the home. Which Features Are Included With the Purchase? When buying in a community, home buyers often have an opportunity to preview sample or model homes to get an idea of what the builder offers. Home buyers should to keep in mind that most model homes have a number of upgrades that may not come standard in a standard home. Common upgrades might include flooring, a selection of paint colors, options for countertops, and more. In some cases, buyers can request an allowance with the builder to cover the cost of a few upgrades. It's important to know what upgrades are included and what finishes and amenities are standard in a new construction home. 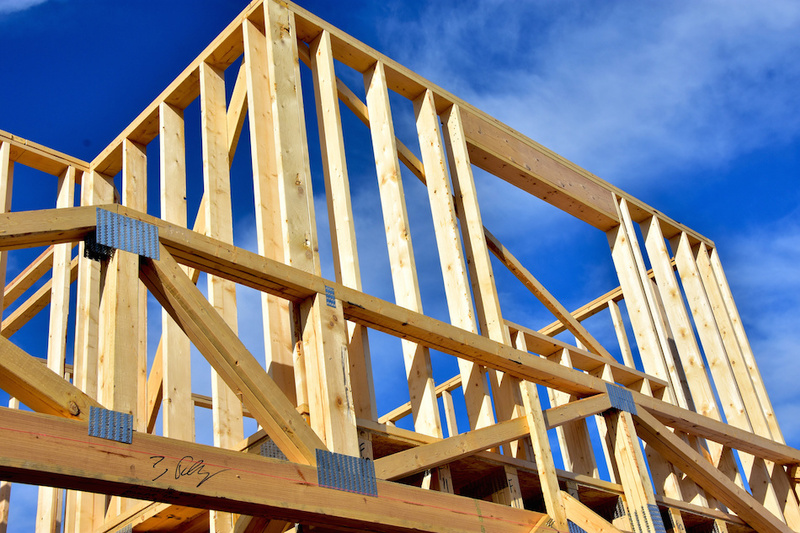 Should a New Construction Home Have an Inspection? Most builders want to provide a quality home that buyers will be happy to own. However, this is not a replacement for due diligence on the part of the person buying the home. As a way to verify the quality of the construction, buyers may want to request a home inspection from a third party. Shortly before it is time for the final walk-through, buyers should arrange with the builder to allow a home inspection. What Kind of Warranty Will the New Construction Home Have? Keeping the paperwork in one place will help simplify the claim process. Buying a new construction home can be very exciting, but buyers should make sure they understand all the details. The use of a Clearwater real estate agent for new construction homes often smooths the process and allows the homebuyer an ally and advocate when speaking with the builder. In most cases, the agent or representative at the builders model homes work for the builder, not for the buyers of the homes.